Although not quite as hidden away as the Hidden Trails Speakeasy at this year’s RumFest, the Floridita Rare Rum Club has gained it’s place on the London Rum scene as much by whispered conversations and as it has by mailshots to the Floridita regulars. Hosted by Head Bar Manager Richard Woods, each last Thursday of the month Floridita plays host to some very special and rare rums. So far Bacardi Reserva Limitada; El Dorado 25 Year Old; Havana Club Maximo and Plantation Rum Guadeloupe have all made an appearance and this month’s Rare Rum Club, on Thursday 27th October 2011, will be no less exceptional. Floridita’s Rare Rum Club aims to be both informative and entertaining; it is a club that is designed to keep its members in the know, with useful inside information in the field. This club is designed for both Hospitality Industry people and Rum enthusiasts who want to expand their knowledge in the field… by sharing opinions, receiving information from experts and revel in all things Rum related. The next bottle to be opened is 1703 Mount Gay Rum. This 1703 cask selection is a true symbol of the unique, centuries-old excellence of Mount Gay Rum. Blended entirely from the treasures of Mount Gay’s prized reserve, each aged for 10 to 30 years; it is a masterpiece of perfect sumptuousness, a deliciously complex nectar created by the oldest producer of refund rum in the world. The cost is £25pp; this will include the tasting, a rum cocktail, entrance to Floridita Live and a Rare Rum Club sharing platter for the group. Places are limited, so to reserve a place please email Hannah Sakellariou – hannahs@danddlondon.com. Details on Floridita’s Rare Rum Club can also be found on the Floridita Website. Last night kicked off the start of 2011’s London Cocktail Week. Running from the 7th to the 16th October, this is the biggest drinks event on the London scene and with so much to choose from, it should be possible for everyone to find at least one thing to do. 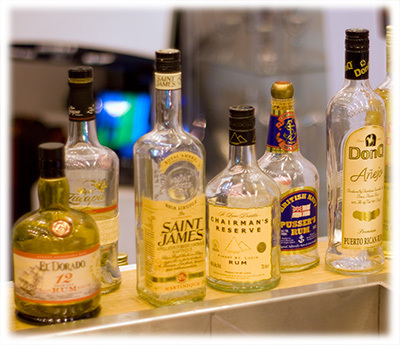 Sunday 9th October kicks off with Rum Trail – A walking tour round the Notting Hill area, visiting five bars. Meeting at Trailer Happiness on Portobello Road, each bar will give you the opportunity to try a different age of Havana Club Rum, while discussing the stories behind Tiki culture. There are two seperate 2 hour tours this evening, starting at 6pm and 7pm respectively. Tickets are available from the London Cocktail Website and are priced at £35. Monday 10th October is the first full day of events and that means more chances to try some Rum. Today’s Rum Trail moves into the West End, meeting at HIX on Brewer Street. With a slightly earlier start of 5.30pm and 6.30pm, these 2 1/2 hour tours will take you around five bars in the Soho area, where you’ll again be given the opportunity to try different ages of Havana Club Rum. Tickets are available from the London Cocktail Website and are priced at £35. For those in the trade, pickup your red ‘Trade’ wristband and head to the Drinkology Studios on Batemans Row, from 2pm ’til 3pm, for the Below the Equator – The Oldest and Newest Cane Spirit seminar with Leblon’s Jacob Briars. Tuesday 11th October gives you the chance to learn about Caribbean rum from The Chairman’s Reserve team. Held from 1pm to 2.30pm at Le Méridien Picadilly’s Longitude 0°8′ bar this free event will also feature tastings of limited edition bottling’s from the Chairman’s Reserve range. Between 2pm and 6pm, those with their red ‘Trade’ wristband can meet the Havana Club Rum Ambassador Meimi Sanchez at the Havana Club Bar, at the Drinkology Studios, where she will be making drinks and running informal tasting sessions. Today’s Rum Trail moves yet again, but this time to the City of London, meeting at the Boisdale of Bishopsgate. The last night of the Rum Trails, will find you on a 2 hour walking tour of five bars in the Shoreditch area, starting at both 6pm and 7pm. Tickets are available from the London Cocktail Website and are priced at £35. Wednesday 12th October brings Latino rum, chocolate and vinyl. My only disappointment is that with the exception of Hermione Granger, Marty McFly and Dr Who, we won’t be able to enjoy all three of the rum events on this ‘Hump Day’, due to their similar start times. So in no particular order, I’ll start with one of my favourite rums: the Zacapa Tasting at The Speakeasy at Selfridges. Starting at 6pm, this is a 1 hour full portfolio tasting with Ron Zacapa‘s European Ambassador Mario Nevarro and costs £15. For those of you with a sweet tooth, why not head to Poland Street’s Barrio Central at 6pm for Rum & Chocolate. Also costing £15, this 2 hour tutored tasting will introduce you to some of the exquisite rums from the Santa Teresa range, followed by a Venezuelan style party. Alternatively, bring your best vinyl and any unusual ingredients with you to Upper Street’s Wax Jambu, for the free Pampero Off the Record event. 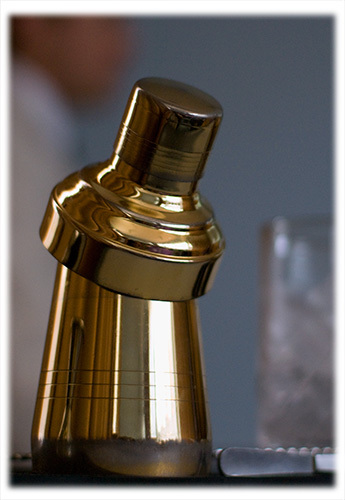 Starting at 7pm, the bar staff will endeavour to make you a bespoke cocktail until late into the night. Tickets and further details of today’s events are available from the London Cocktail Website. Thursday 13th October – Despite being the eve of the start of one of the largest events in the Rum calendar, there’s still plenty of rum events to choose from. Starting with the Zenna Rum Cocktails masterclass, being held at Zenna Bar on Dean Street. Priced at £30 and starting at 5pm, during this 2 hour class you will learn to make classic cocktails and create your own new drink. Guests will also leave with their own goodie bag. Hosting the Cuban Cinema Double Bill, from 7pm to 11pm is Borough High Street’s Roxy Bar & Screen. Featuring Havana Club cocktails at the bar, for £10 you’ll be able to sit back and while away the evening watching Chico & Rita and Fresa y Chocolate. For a Rum & Cachaça Paired Cocktail Dinner, hosted by the Rum Ambassador Ian Burrell, head to Brown’s on St Martin’s Lane for 7.30pm Priced at £70, the evening is also hosted by Boca Loca Cachaça and will feature dinner courses paired with distinctive rum and Cachaça cocktails. Special treats will include appearances from some of the world’s top rum experts and a chance to try some rare and special sugar cane spirits. Friday 14th October is the start of this year’s RumFest and it kicks off with the trade-only Boutique RumFest. Hosted by Ian Burrell at the Hilton Olympia and running from 12pm until 9pm, the day features a series of tastings and seminars including: Santa Tersa Tasting; Let’s Talk Rum; Diplomatico Tasting; Don’t Fear the Blender; The Art of Distillation; The Grand Tasting; El Dorado Tasting and the Bacardi Legacy Seminar. For those in the trade with an interest in rum, this is a day not to be missed. Further details of today’s events are available from the London Cocktail Website. Saturday 15th October – RumFest, what more needs to be said… Well quite a bit really, which is why I’ll post a separate entry on RumFest. What I will say here though is that this is the first public day of this year’s drinks festival celebrating the diversity of rum and its rapidly growing popularity. Tickets start at £25 are available from Ticket Source. Starting at 12pm and finishing at 6pm, RumFest is being held at Olympia 2 and further details can be found on the RumFest website. For those of you that can’t make it to RumFest, the Selfridges Wine Shops is hosting Cheeky Tiki – a free event running from 12pm to 6pm, that looks at Tiki culture, it’s history and cocktails with the help of Havana Club Rum. 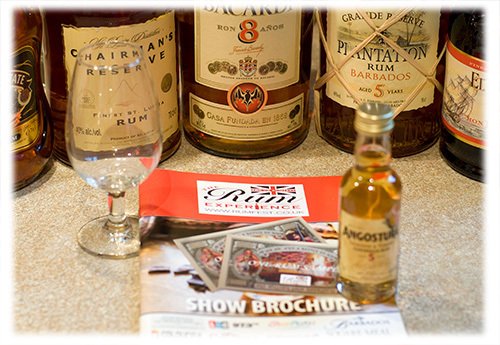 Sunday 16th October is the second and last day of RumFest. Expect more Rum and Rum escapades on Hammersmith Road for the last day of RumFest and London Cocktail Week. 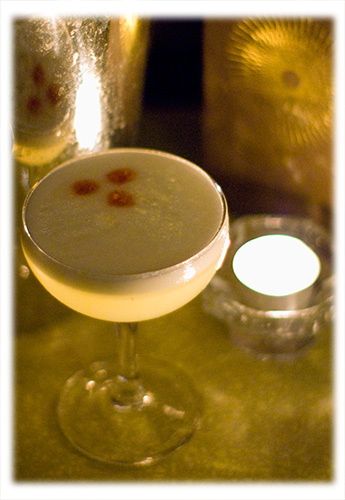 Along with all of the above listed Rum events, it’s also worth bearing in mind that there are also loads of other events related to mixology and other spirits and with nearly 200 bars in and around London, who are each providing a signature cocktail for £4, everyone should be able to find something that they like. Many of these cocktails will be rum based, so please check the London Cocktail Tours page for further details. Another worthy note is the American Bar at the Savoy where each day from Monday 10th to Sunday 16th October, they will be hosting the Miniature Cocktail Museum between 3pm and 11pm each day. Here you’ll find a pop-up bar specially created for London Cocktail Week, featuring Bacardi Brown Forman brands. So if you haven’t already signed up, then head to www.londoncocktailweek.com to do so and collect your wristband from Gordon’s Speakeasy on the 1st floor of Selfridges. Don’t forget that each day there’s also a Bacardi Oakheart sponsored bus that will drive you between bars in each area for free when you show your wristband. Each day will cover a different area so remember to check the timetable.